As an elegant centrepiece, a roof lantern is a perfect way to add an iconic edge and a show stopping look to your home. 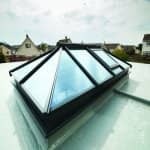 Dating back to the 1100s, roof lanterns have been used for centuries to transform small and dark areas with natural light. 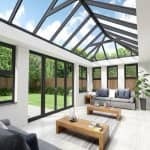 In the 16th century, roof lanterns were widely used for orangeries in Europe, which used the natural sunlight to protect and grow orangeries and citrus trees through the harsh winters. 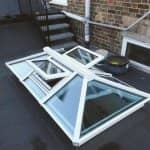 Today, roof lanterns are available in modern, sleek or a perfect blend of classic and contemporary designs. 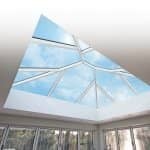 With so many to choose from, there’s a roof lantern to suit any home. Timeless. 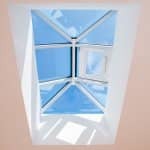 Used for centuries, roof lanterns have proved that they are never going out of style. Perfect for any home. 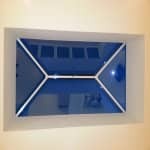 Available in a range of different styles and sizes, there’s bound to be the perfect roof lantern for your home. Elegant talking points. 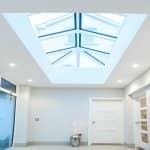 Timeless and elegant, roof lanterns will immediately add luxury and prestige to any home. 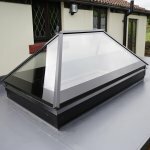 Attention grabbing and available in a range of show stopping styles, roof lanterns make an amazing talking point and addition to your home that will be the envy of all your guests. Perfect for natural light. 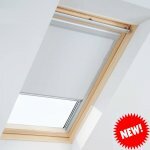 Natural light has an incredible effect on your home. Not only does it make a space look amazing, it also offers many health and wellbeing benefits, making you feel happier, more energised and more comfortable in your home. Cost effective. Not only does natural light make your home look and feel amazing, it will also reduce the need for you to use electric lights in your home. Combined with its thermal ratings, they not only save you money on your energy and heating bills but are also better for the environment. 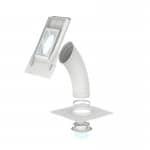 As iconic centerpieces, roof lanterns are a fantastic and elegant way of bringing natural light into your home.